When society collapses after a SHTF disaster we all know the bills in our pocket will be worthless – as will the coins in the change jar on the dresser, unless any of them are old enough to have been made with real silver or copper. So, what will become the SHTF currency? Gold is the most obvious and frequently discussed dollar bill alternative, but it has its drawbacks and many other realistic alternatives also exist. Like most preppers, the hubby and I have purchased gold, but it will not do us any good unless we are bartering for a substantial item worthy of a “high dollar” amount. Investing in gold is never a bad idea. 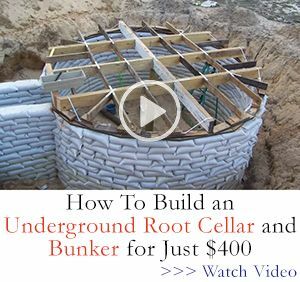 But make sure you also stockpile some (if not all) or the equally worthy and less expensive SHTF currency options on this list as well – doing so could one day save your life! The best post-doomsday disaster currency alternatives will be easily portable and dividable. A gold bar is portable, but is not easily dividable for use in small purchases. Diversification is key when stockpiling post-SHTF currency. Some items, like precious metals and water will likely be readily accepted immediately after society collapse. But, other potentially alternative types of currencies will not likely become useful until the rebuilding of society actually begins. 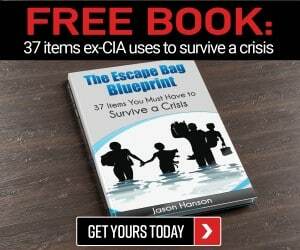 This life essential will undoubtedly be in demand after the SHTF. Depending upon where you live and the season, it could be in incredibly high demand. The ability to store and transport water, along with the survival skills necessary to distill and purify drinking water could become far more valuable than any precious metal or gem in your pocket. While water is not necessarily lightweight, it is dividable and portable in small quantities – like a wagon filled with 55-gallon drums or 1-gallon jugs. Water purification tablets will also become valuable currency items. Before our modern era salt was used frequently to preserve food and cleanse wounds. Salt will regain its exalted status after the SHTF and the power grid fail. Like gold, salt was once commonly used as currency. Roman soldiers were paid for putting their lives on the line with the little white pellets. Salt, like water, can be divided into manageable amounts and transported into containers of varying size. Unless you live near the ocean or one of the few salt mines still left in the United States, it will be difficult to find – driving up its value. Do some research to find out if regions in your area where at least small amounts of salt might be found in the ground, still exist. If you live in a coastal region, a standard-size mop bucket can be boiled down to create a tablespoon of salt. The brine water left over can also be used to preserve food. You can buy salt in bulk by the pound to stockpile for barter at incredibly reasonable prices. Booze was offered as a monetary award to both slaves and white laborers during the colonial period. After the SHTF alcohol will be widely used for more than lifting spirits. Unlike beer, liquor can be used to disinfect wounds, preserve food, and for fuel when distilled to its most purse state. Alcohol has an incredibly long shelf life, can be transported easily on horse-drawn wagons, and can be simply divided with little effort. Buying or crafting a still to make your own alcohol after the SHTF should be a worthy, even though a time-consuming, endeavor. Silver is less expensive than gold to purchase and could be used to make purchases after a TEOTWAKI purchases on a far more reasonable and routine scale. Instead of buying gold or silver bars or coins, purchase jewelry instead. Small pendants or earrings which are made of silver or gold are cheaper to stockpile and will not require “making change” after the SHTF. Unless you are bartering with someone you know or an incredibly honest person, they will probably tell you them simply do not have any currency alternative to use to make the deal even out, so it is all or nothing. If that type of situation arises, you will probably overpay and hand over the entire bar or coin because walking away without an essential item would reduce your chances of survival. Silver coins or jewelry are durable and portable currency items and due to the small size of both jewelry and coins, your stockpile can be easily dividable for modest purchases. “Junk Silver” Guide – A silver eagle is equal to 1-ounce of pure silver. A silver dollar coin is equal to 1-ounce of pure silver. It takes three half dollars to equal 1-ounce of silver. It will take six quarters to equal 1-ounce of silver – old quarters that were still made of the actual precious metal, of course. It takes 14 old dimes to equal 1-ounce of silver. Three pre-1965 Kennedy half dollars equals 1-ounce of silver. Dimes have been used to make both 12 and 20-gauge defense loads, making the a dual-purpose currency. Animal pelts have been used as a form of currency and as a valued bartering item since the Middle Ages. During the Middle Ages. It was not uncommon in many countries for poor citizens to pay their annual tax bill to the government using squirrel pelts. In our modern society clothing is both readily available and can be purchased cheaply at a big box store. That was not always so. During the formative years of our great nation and up until the industrial revolution, you mended clothing and put it on your back until it was thoroughly worn out – especially if the garment was a coat – your only warm coat. After the SHTF everything will be in short supply, even clothes. While a new outfit will not be anywhere near the top of your priority list, warm coats and blankets will be – and a priority for everyone else as well. Fur will once again be in high demand, bringing old-fashioned trapping and hide-tanning skills back into the forefront of our daily lives. Furs are not truly lightweight when carried by human hands, but can easily be transported on horseback in a pack saddle or on a wagon and divided easily or grouped together for a substantial purchase. Do you recall from your Sunday school lessons what the three wise men brought baby Jesus? Like salt, herbs and spices were once valuable commodities trade frequently on the market. Once upon a time, a bag of salt or peppercorns would be welcomed to cover the cost of your lodging, food, or new suit of clothes. Cocoa beans and tea leaves packaged in brick form were traded for goods and services. Herbs and spices are both lightweight, portable and easily dividable, making them an excellent SHTF currency item. Herbs and spices are not merely luxury items, but can hold medicinal properties as well. After society collapses, medical providers and modern-day apothecary operators will be searching for the necessary ingredients to complete natural remedies to help stave off disease or cure their patients. Raiding of the jewelry boxes will quite possibly become essential after the SHTF. Precious, even semi-precious gems, can be used for barter. Like gold, the dividing of a precious gem to an amount small enough to purchase some food, will prove difficult. Simply taking a hammer to a diamond pried from a ring setting is not a good idea – cutting the gemstone properly will likely be necessary. If you have a significant amount of fine jewelry, or are fortunate to score some good buys at an estate sale, learning how to at least rough-cut gems and stockpiling the tools to do so might be a really good idea. Gems are lightweight and portable, but not easily dividable. These two items, along with a host of gun cleaning, gun repair, and ammunition reloading supplies will make excellent currency – but you should have to be desperate to actually barter them away. By using ammo and gun powder to purchase goods and services, you might be bartering away an item which could one day save your life – even a massive pile of ammo could eventually dwindle. Worse yet, the bullet you trade today could be aimed at your tomorrow. Ammo would be a lightweight, easily portable and dividable mode of SHTF currency. Trade very carefully, your life may depend on it! Bartering luxury items will be a hit-and-miss proposition depending upon the post-SHTF rebuilding stage at the time of the proposed exchange. Initially, survivors of the doomsday disaster will not be willing to part with any even remotely possible essential item for one which is not – but once society begins to stabilize, a rare treat like a baggie full of sugar will be a more enticing proposition during a barter. Growing sugar beets and learning how to harvest them properly could provide a sustainable source of sugar, no matter where you live. Sugar beets are an underground root crop in temperate climates. The cane from sugar beets is garnered by chopping off the stem of the plant. The root of the sugar beet remains planted in the ground so it will grow again year-after-year. Sugar is lightweight, portable, and easily dividable, making it a quality bartering option – but, if not stored properly it will be ruined and as useless as a $100 bill in the new reality. Copper, steel, aluminum, pot metal, iron, and lead will become great small currency items during the reconstruction phase after a disaster. Engineers, mechanics and a host of other skilled craftsman will need these materials when attempting to rebuild machinery, off the grid utility systems, tools, and weapons. Pennies minted before 1982 are 95 percent copper and 5 percent zinc. Copper pipes or tubing have value now, if they didn’t thieves would not be risking arrest by stealing them out of homes and buildings. Bullets can be made out of copper, making them a dual-purpose mode of currency. After the SHTF you will be able to trade candles and lamp oil for small transactions. Once the lights go out the candle supply most folks have in their homes will dwindle quickly and cannot be replenished by going to the local big box store. Learning how to make your own candles and stockpiling supplies should be a part of your overall preparedness plan. Buying commercially-made lamp oil is a good idea, but buying cooking oil, olive oil, and coconut will work almost as well and is a lot cheaper. While candles are portable and easily dividable, they are not very durable. Candles can break easily and melt in the heat, so they must be stored properly and handled with great care. Lamp oil should be placed in Mason jar to make it an easily dividable and portable, although not still easily breakable when in glass containers, currency item. These inexpensive items will be in short supply not long after the SHTF. Using a box of matches or a lighter as currency to purchase a gallon of water or can of food might become commonplace. Waterproof matchers are not really 100 percent waterproof, but are close enough to earn them a higher value than common matches. Zippo lighters and lighter fluid will be more valuable than cheap one-time-use lighters, but any fire source you have stockpiled could literally be worth its weight in gold to the right person. This type of SHTF currency is portable, easily dividable, and highly durable when not left out in the rain or stored in a damp place. When grocery store shelves empty, which will probably take only about three hours, food will become scarce and MILLIONS of Americans will starve. People who never thought they would become backyard farmers will be begging anyone who has ever cultivated a seed to give them a crash course in gardening. Seeds will be worth far more than the pre-SHTF packet sticker price once society collapses. I only purchase non-GMO heirloom seeds for our farm, but after the SHTF, even the most devoted organic lover will be willing to buy absolutely any kind of seed which can grow into a meal for their family. Seeds can be purchased cheaply from a local dollar store or big box store now, but at the end of the summer gardening season they will typically be placed on clearance for up to 90 percent off – sometimes making them cost only $.10 a packet. Seeds may be the cheapest post-SHTF currency item, and the one with the biggest return on investment. Unlike water, matches, and candles which will be in high demand, seeds will not really become valued until survivors can think past their growling stomach and shivering bones. Purchase not just crop seeds but packets of medicinal herbs and plants which have natural healing property to increase the value of your stockpile. Seeds are a lightweight, portable, and easily dividable form of post-SHTF currency, but must be stored so they are not subjected to dampness or too much heat to remain usable and durable. Growing extra plants and preserving your bonus harvest by canning it in Mason jars or dehydrating it gives you another way to create a new reality currency from seeds. Power tools will become useless hunks of metal and plastic – as will anything with a cord, after the SHTF. Eventually, by using solar, wind, or other forms of alternative energy, may allow such them to hum to life again – if the doomsday disaster was not caused by a solar flare or man-made EMP. But, until such a time comes to pass, anyone with spare hand tools possesses and valuable currency. Nails and screws might not be looted from stores immediately after the SHTF, but some clever thief will discover their value quickly and horde as many as possible to use as currency. Hands tool, screws, and nails are portable, durable, and easily dividable – making them a superb post-apocalypse currency option. Even in rural areas not everyone will have easy access to wood of the ability to cut the timber into logs for the fire or board for building – or covering up broken or vulnerable windows in the home. Opening your own lumber yard after the SHTF or driving your logs and rough-cut boards to town/post-SHTF trading post or marketplace to sell provide you with enough buying power to refill the wagon for the return trip. Traveling with such a heavy load after society collapses increase the risk of being out on road. Learn how to make your own charcoal so you can use the lightweight, easily dividable, and fairly durable off grid cooking necessity as currency for small purchase during a long-term disaster. Timber is a durable and easily dividable, but will only be functionally portable if cut into pieces of a manageable size to fit your method of transport either to market or to a spot on your property which keeps customers far away from your home and barn to avoid an inventory being taken of your preps and defenses. Guns and bows will obviously be a valuable commodity during and after a long-term disaster. But using the deadly weapons as currency comes with a substantial amount of risk. The weapon could be used against you or your family by either an evil or a nice yet desperate person. You must use extreme caution and only resort to selling your guns and bows if incredibly desperate. Weapons are a durable and portable form of currency but will not be easily dividable. A gun, even an empty one, will be worth far, far more than its weight in gold. Stockpile as many non-lethal potential post-SHTF currency alternatives so you will never find yourself in a position to trade a handgun for a gallon of water! 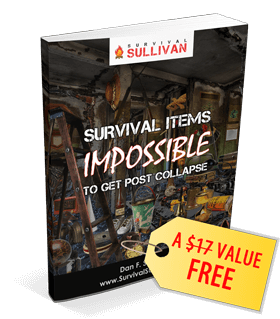 Once survivors have adjusted to the new normal in the post-SHTF society and the basics needs of the survivors are being met, comfort items will also become good currency for small purchases. Most folks have a drawer somewhere in their home that has what a non-prepper would refer to as a “stockpile” of batteries, but after the apocalypse, the batteries will be used up quickly in flashlights and walkie-talkies, etc. Batteries are durable, portable, and easily dividable, making them a great disaster currency option. They will be in high demand after the lights go out, even the cheap ones from a dollar store which never seem to carry a charge, even in a television remote control, for very long. Both small tanks of propane to fuel camping stoves and lanterns and large canisters which can be used for gas grills, will be in short supply and high demand during and after a disaster. The tanks are basically lightweight, portable, and durable, but will only be easily dividable for barter if purchased in small canister sizes. Large canisters of propane should be reserved for only large and important post-SHTF purchase. Animals of all shapes and sizes will become valuable commodities – as will the tack and supplies necessary to keep them alive, to butcher them, and to keep them working the fields or producing milk. Although you or your loved ones would have to be within moments of death to ever eat or sell your breeders, increasing your herds/flocks now so you can sell the offspring will ensure your “finances” after the SHTF. Rabbits are easy keepers and reproduce quickly. Pygmy or Nigerian dwarf goats are suitable or a small homestead or backyard hobby farm. They eat a lot more weeds than you might think and are capable of producing up to ½ gallon of sweet buttermilk on a daily basis. Stockpiling horse shoes and nail and basic farrier hand tools – along with the knowledge to use them, will create ample bartering opportunities after the SHTF. Horses will once again be the primary, if not only, mode of transportation in the months and years that could follow TEOTWAWKI disaster. Learn how to safely pasteurize or process cow and goat milk at home to further increase your livestock currency options. Livestock will be a durable mode of currency, and easily dividable bartering method when dealing with small animals and tack/supplies. How portable this type of post-SHTF currency will be will depend upon the size of animal being traded and the level of danger caused by hauling them to market or permitting customers to come onto your property for the trade. I thought the currency blog was very informative on the currencies after SHITF. Excellent article. I see #13 and #20 as the best options….they can be reproduced and replenished. On the other hand, there may be some large transactions one needs to make in which gold would be just the thing. Maybe an ounce of gold would make a house payment – or several house payments (or rent), keeping you and your family from being kicked out of your home. Maybe you could keep your car with some gold. Or maybe you could get your family past the military checkpoint with a gold coin or two. There are some problems in your article. A 1 ounce silver round is 1 troy ounce, not a normal ounce, and a silver dollar (of the most common variety) contains approx 0.743 troy ounces (using the figure for the most common type). They do not contain the same amount of silver. Remember the saying “The squeaky wheel gets the oil.” Do not look any more prosperous than anyone around you. Go unshaven, deliberately wear raggedy clothes and even have an old “Gran’pappy’s shotgun” you carry openly – hide the M4 or AK until night time. Do not flash your “preps” or have family members blabbing to their friends about your resources. This is why a generator can help you after a storm, but will get you killed in SHTF. This article nails it on alternative “currencies”. Madness to show anyone that you have guns or ammunition to trade with – it shouts that you have even more if you can part with those. Ditto for precious metals. The safest option is to plan NOW and have adequate resources so you can go a long time without having to barter at all. And if you aren’t in a bad place, then fewer bad things can happen. Plan now to relocate from heavily populated areas. When you get that first feeling that maybe its time to load up ad go – do it. Most people will “wait and see” a few days and they will get trapped by Martial Law or in huge traffic jams. This is not a TV show or video game. And the EMP thing – OMG do people waste time in that argument! Here’s the deal: a small EMP – or a conventional explosive attack – can damage our power grid so that it causes a nationwide cascading failure. That will do it – the walls will come down. No food distribution, etc. It does not have to be some gigantic event to tip that first domino. I cannot agree with “gems” being good barter item as the vast majority of people can’t tell the difference between man-made gems. The ability to purify water would be number one on my list although anybody can boil water. Which makes the ability to make booze for barter a excellent skill. Rechargeable batteries and a method to recharge them would be high on the list. However, TEOTWAWKI means exactly that. Technology as we knew it past the late 1800 would not exist with only a few exceptions; firearms, and knowledge primarily. Season 8 of TWD is finally beginning to get to the how to rebuild what we lost realization. The current problem in a TEOTWAWKI is the common knowledge we lost due to new technology. Skills and knowledge would be the most important survival things to have in such a scenario. Also as Americans we need to get off our duffs and get to the gym and loose the excess fat and build strength. Being physically fit will not only help in any survival situation but we will live longer as well. Death by any means is the ultimate TEOTWAWKI.